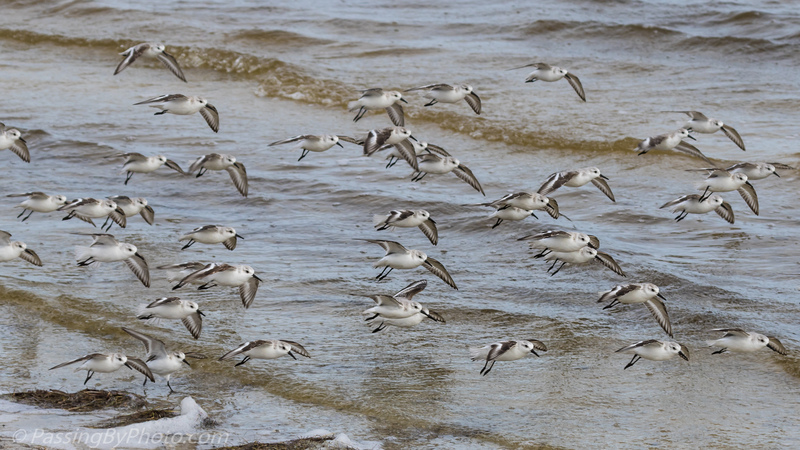 I spotted this group of Sanderlings driving along Indian River Lagoon in Merritt Island National Wildlife Refuge. The immediately took off, but returned with a flourish in just a few minutes. 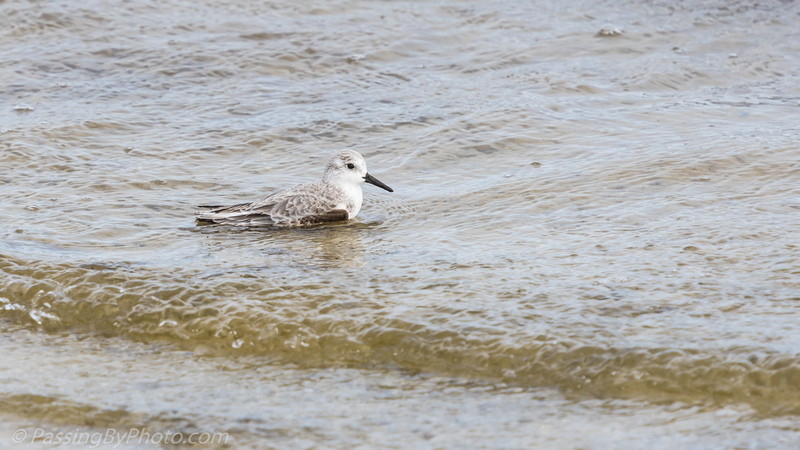 I’ve usually seen them running along the surf, but this one loan Sanderling took a dip in water up to his belly. Click on either photo for larger view. Thank you, glad that you liked it!